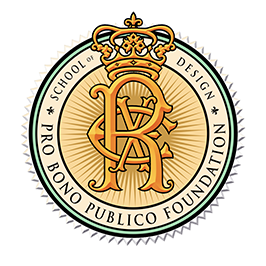 “Pro Bono Publico” is the motto of the Rex Organization, founded in 1872 both to provide a monarch to lead and add spectacle to the city’s Mardi Gras celebration and to help New Orleans recover from the lingering effects of the Civil War. They were successful in their mission—tens of thousands of visitors came to the city during the following decades and played an important role in the city’s recovery. In 2006, as our citizens returned to rebuild New Orleans following devastating post-Katrina flooding, this motto and tradition took on new meaning. The Rex Organization launched “Operation Pro Bono Publico,” with initiatives named for Carnival’s traditional colors, each targeting a specific need in our recovering city. 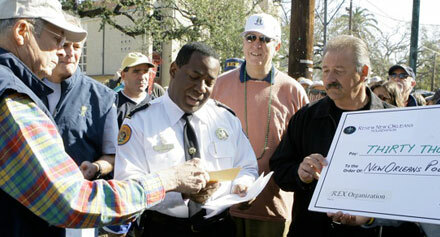 Project Gold raised over $50,000 to help police officers and other first-responders who lost homes to the floodwaters. Project Green mobilized more than a thousand volunteers to help clean up the city’s streets after Mardi Gras parades had passed. Project Purple focused on education, and provided significant financial and volunteer support to our schools, especially the network of charter schools now educating most of our public school students. Rex members now help provide leadership on the boards of charter schools and many of the organizations supporting educational reform in New Orleans. While Operation Pro Bono Publico was a great success, the Rex Organization recognized that doing even more to respond effectively to these needs would require a different sort of organization. 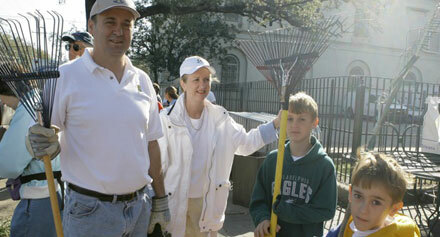 With that expanded mission and capability in mind, the Pro Bono Publico Foundation was organized and charged with a clear goal: to gather resources to help support the rebuilding of the city, especially the schools educating New Orleans’ children. Generous donations from Rex members continue to be the major source of funds for the Foundation and have increased each year. Through 2017 grants made to schools and supporting organizations total over $5.5 million. 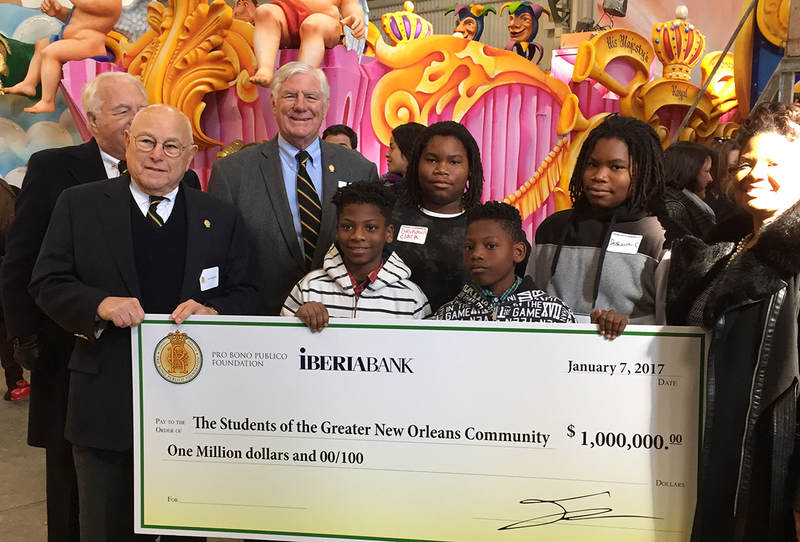 In each of the 2015 and 2016 grant cycles the Pro Bono Publico Foundation awarded grants totaling $1 million, and this investment has played a pivotal role in the transformation of New Orleans public schools. Each year grants are awarded at a special event at the Rex den honoring Teach for America Corps Members and alumni as well as all those working to assure that each child in New Orleans can attend an excellent school.